Over the last few years, Brazil has been one of the emerging economies that have attracted most attention from overseas investors especially for exporting companies that considered it to be a key market for international expansion. 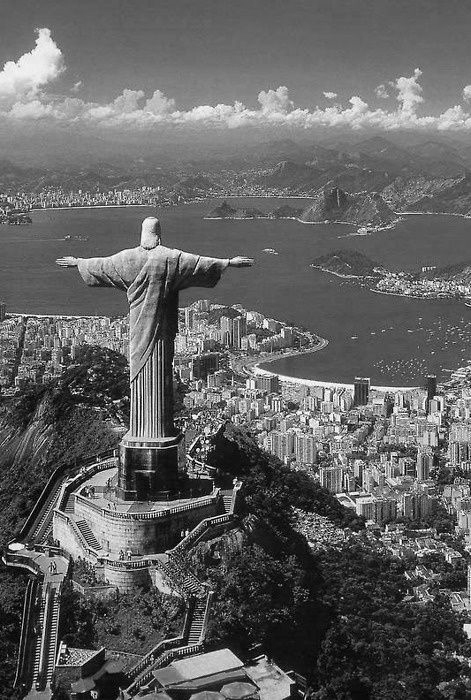 Despite the current political situation and a certain economic unrest, Brazil continues to offer attractive prospects for business in 2015. As with the majority of markets, we strongly advise anybody considering approaching the Brazilian market to make a careful study of the conditions there with respect to their particular field of business and, especially, bureaucratic barriers and the tax situation. The Brazilian Office of International Team Consulting has carried out an exhaustive market study to locate those sectors which offer the best perspective for business in 2015. With the potential for growth in these industries, Spanish companies will find that, by careful planning and with a well managed business strategy, these sectors offer opportunites to close very beneficial deals in this new market. Despite the perspectives of slow growth and economic recession forecast for 2015, the Bar and Restaurant sector in Brazil is one of the most dynamic in Brazil for the year. A well-established restaurant is almost guaranteed success in Brazil. It is essential to ensure a good location in a prime district and include a “differentiating factor” that make you stand out from the competition. In the larger cities, such as Rio de Janeiro and São Paulo, Spanish, Italian and French cuisine is becoming especially popular. Brazilians are attracted by the Mediterranean Diet for its health aspect and its variety. In recent years, the beauty industry has been one of continual growth. This can be ascribed to the increasing disposable income of, especially, the emerging classes (C & D) and the fact that women and, increasingly, men are assigning a larger portion of their income to their appearance and personal care. Another important factor to be remembered is that Brazil is the third largest producer of cosmetics in the world. As such, it has to make our list especially in view of the fact that industry experts predict continued growth over the coming years. The growth of Nail Salons is mirroring that of the Beauty Parlours. Here it is felt that one of the keys to success is that of offering a distinctive service, one that stands out from the rest. One of the sub-sectors that has been highlighted is that of enamelling franchises. There is a worldwide tendency towards increasingly healthy diet, changing to fresh and natural foods. The increase in organic and ecological food produce is a reflection of this trend. In Brazil the market for natural products, in particular, foodstuffs, is becoming an expanding part of the market and even the larger supermarket changes are giving over ever larger shelf-space to natural produce in answer to consumer demand. The food-truck trend has arrived in Brazil and is here to stay. It all started in São Paulo where it quickly became one of the city’s attractions and several other Brazilian cities are enacting specific legislation to control the sale of food from these vehicles parked on the street. The ever increasing cost of premises in city centres has fanned the growth of this business in which a food truck is an attractive and profitable business model with a relatively low initial outlay for mobile premises. This is still a young business with good prospects for the future. However, and before you take any steps in the market, it is advisable to check the legislation applicable in the cities in which you intend to set up. E-commerce has grown 25% over recent years having started to overcome the initial consumer resistance. The average Brazilian is becoming more and more confident when buying on-line with a credit card. These factors together with the ease of buying from home and increasing disposable income makes the outlook for this business one of the most attractive at present. On-line shops selling fashion, cosmetics and perfumes, domestic appliances, etc. have sprung up and their profusion and growth are witness to the profitability of the sector. Our advice would be to concentrate on a specialised sector and create your own competitive model of quality to stand out from the crowd in prices and service. Another sector worth taking a look at is that of on-line travel agencies. The companies that are having most success in Brazil are those that offer personalised packs and is one that does not require a large initial investment. This expansion is, once again, a consequence of Brazil’s burgeoning middle-class. According to data published by the ABF (Brazilian Franchise Association) this is the sector that has experienced most growth recently. When talking of virtual franchises, these have been stimulated by young tech-savvy entrepreneurs who capitalise on their internet expertise to open businesses involving a low initial investment and, very often starting in a home office. Language-School franchises are expanding rapidly as Brazilian businesses require more and more employees who speak other languages, principally Castilian and English, but there is also a call for other languages such as French, Italian, Chinese (Brazil’s largest trade partner) and, as home to the largest expatriate population, Japanese. There are two main ways of entering this market, both of which require a considerable funding. The first, would be to start a school from scratch using one’s own methods and techniques. The second would be to enter into an agreement with one of the internationally renowned franchises to take advantage of their know-how and reputation. Both options are widespread in Brazil. This is a still an underdeveloped business sector although, with increasing prosperity, this is an expanding age-group in the economy. Therefore, we believe that senior-citizen services is a sector with a very bright future. However, and as mentioned in other sectors, creating a distinctive business model: old-peoples homes with a personalised superior service, pleasant surroundings and stimulating activities. A niche within this sector is that of home-car service franchises for senior citizens. The trend for microbreweries has spread from the USA and Europe to Europe. Although some data say there are 200 microbreweries in the country, it still only represents 1% of total consumption. The average Brazilian is a beer-lover, but the general offer is very bland and uniform: most beers have the same taste; and this is generating a demand for more quality and variety. This situation offers opportunities for well made crafted beers. Even though the Brazilian Support Service for SMEs (SEBRAE) declares that is in continual growth, there is still plenty of room for expansion for new entrepreneurs. Hand-crafted ice-creams are a growing proportion of this market in which the evermore sophisticated Brazilian consumer is looking for better quality and new experiences. All of this is aided by the Brazilians’ natural liking for ice-cream, the climate and the very wide range of fruit available in the country mean it is relatively easy to distinguish ones offer from the industrial competition. Bio-jewellry offers many possibilities in our current economic climate. Costume jewellery made from renewable materials (seeds, fibres, leaves and stones) are becoming very popular with Brazilian consumers. Following in the wake of a worldwide interest in a sustainable economy, fashion and accessories are jumping on the bandwagon. However, in common with other sectors in this field, an innovative attractive design is essential for success. Of all the business models proposed for 1015, 3-D printing is probably the one with most long-term potential. Coupled with advances in scanner and printer technology, the lowering of the cost of the hardware offers a wide range of possibilities in myriad industries for entrepreneurs: from industrial prototypes, the creation of custom-made jewellery, bespoke toys, home decorations…… the possibilities are endless. It is,undoubtedly, a sector which requires special attention over the coming years. In common with the rest of the world, the smartphone, including tablets and similar devices, is an ever-increasing market. As with other industries we have mentioned, the expanding potential of this market is fuelled by increasing Brazilian affluence. A particular Brazilian factor is that of rising sensation of security; a few years ago nobody would have been seen speaking by mobile phone or using a tablet on the street for fear of robbery. Any number of app services offer possibilities: shopping, information, social networks, etc.